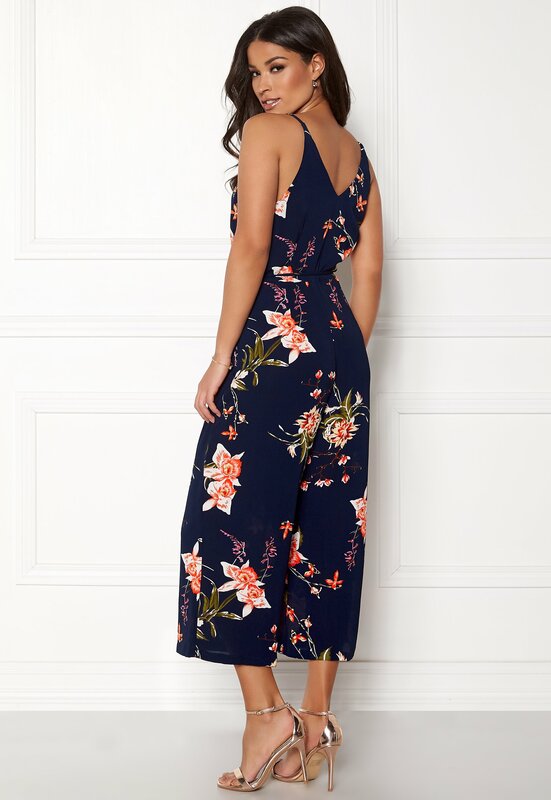 Stunning jumpsuit with a floral pattern from AX PARIS. The jumpsuit has wonderfully wide legs and a flattering tie at the waist. 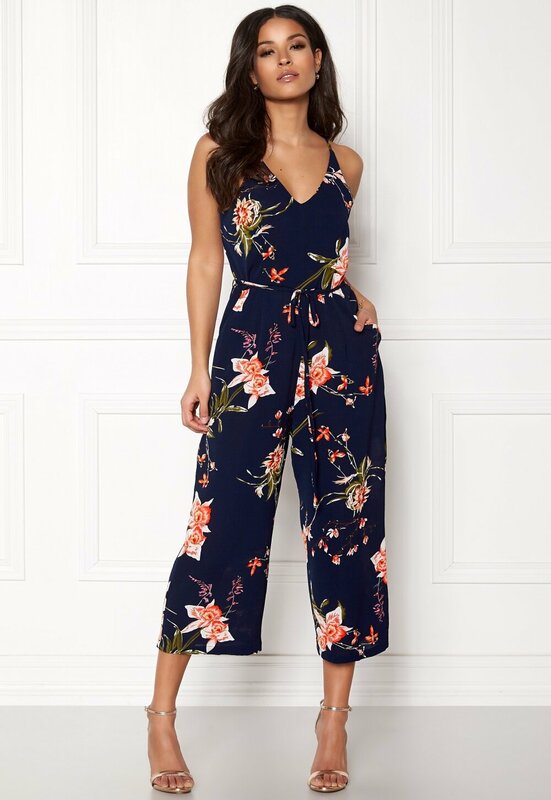 The jumpsuit is the perfect choice for both everyday and party wear. - Unelasticated quality - V-neck - Concealed zip on the side - Two front pockets Back length from shoulder 126 cm, bust 88 cm, waist 76 cm, inside leg 54 cm, in size S (UK 10) The model is 172 cm tall and wears a size S (UK 10) Hand wash only.